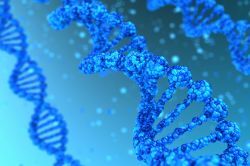 The La Trobe University Genomics Platform provides investigators with the latest in next-generation sequencing equipment and complementary bioinformatics assistance. We facilitate wide-ranging research projects requiring highly detailed global DNA and RNA sequence analysis. The Genomics Platform is part of the La Trobe Research Platforms and is available to investigators both internal and external to La Trobe University. The Genomics Platform features many state-of-the-art next generation sequencing instruments. Bioinformatics services can be obtained through the platform on a weekly rate. The Genomics Platform offers training workshops from time to time. The Genomics Platform has three staff who are guided by a director and steering committee.